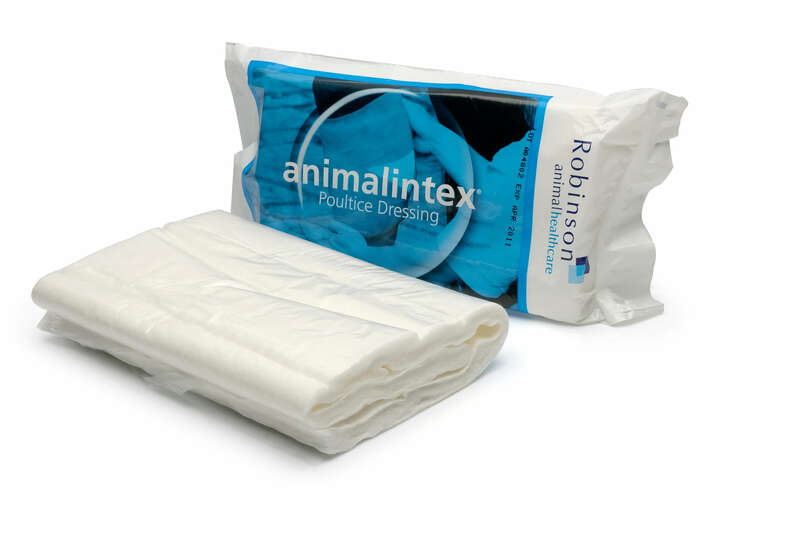 Robinson Animalintex Poultice has been used by vet & horse owners alike for many years, to treat a range of conditions, from hoof abscesses to splints. It can be used hot or cold, wet or dry. It is the only poultice with a Veterinary Medical License. Robinson Animalintex Poultice contains Boric Acid, which acts as an antiseptic & Tragacanth which draws out infection.